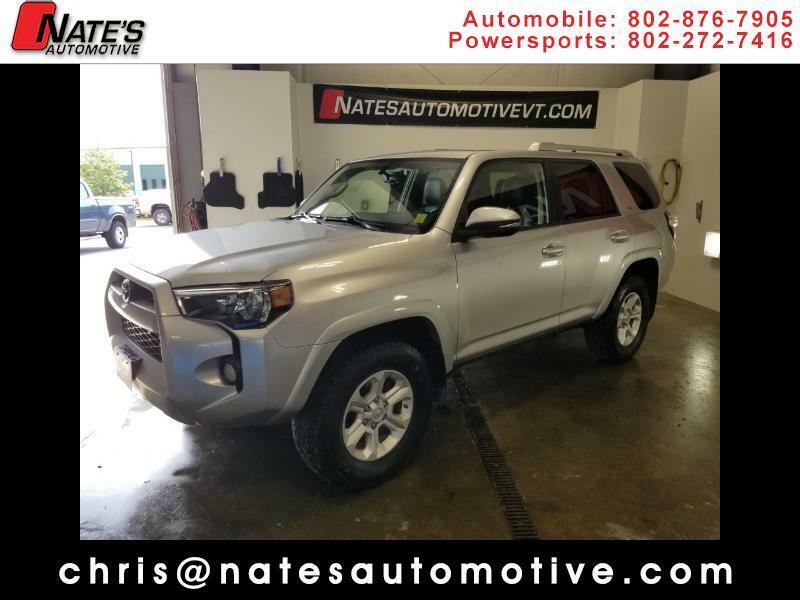 Nate's Auto is selling a 2016 4 Runner SR5 Premium! The Premium model adds Navigation, sunroof and heated leather seats! Of course, this 4 Runner has four wheel drive with Toyota's Advanced Traction control. This rig has amazing off road capabilities with minimal effort needed from the driver. Sunroof, blue tooth, backup camera, Sirius XM built in, and a 10,000 mile oil change interval! This rig is spotless and in excellent shape! Comes fully serviced with a new Vermont Inspection!